Headless mannequins in ill-fitting clothes are a thing of the past now window displays have become an art form and the ones along Regent Street know how to get attention. 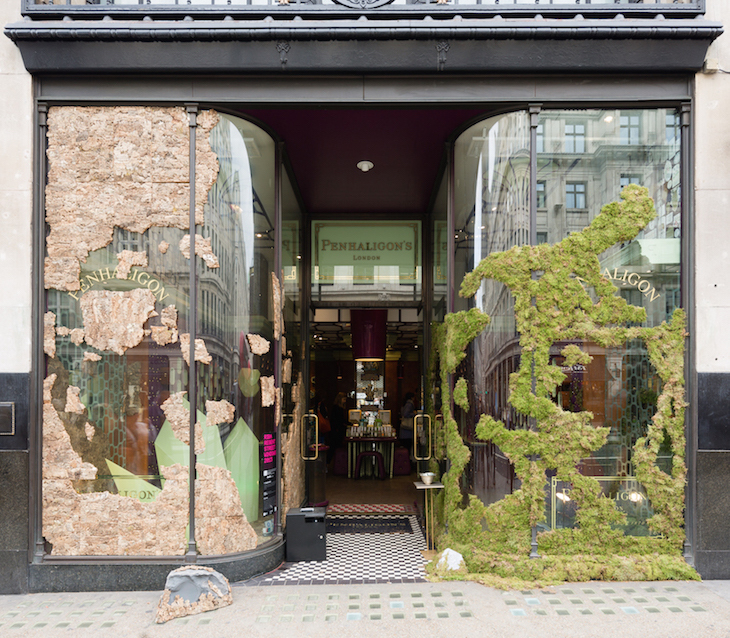 The RIBA Windows project is now in its sixth year, with 13 architects going all out to transform the big shiny glass panels that line the street into enticing, ethereal displays. 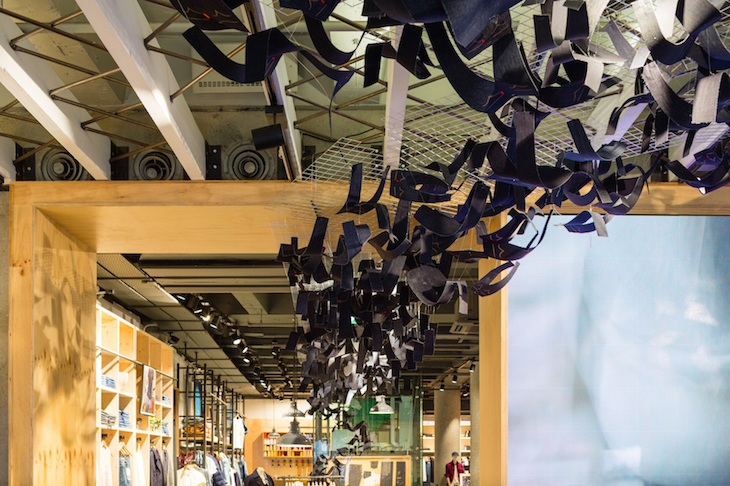 To coincide with London Fashion Week and London Design Festival the architects have created all kinds of unusual structures, finding inspiration in nature and animals not just fashion. 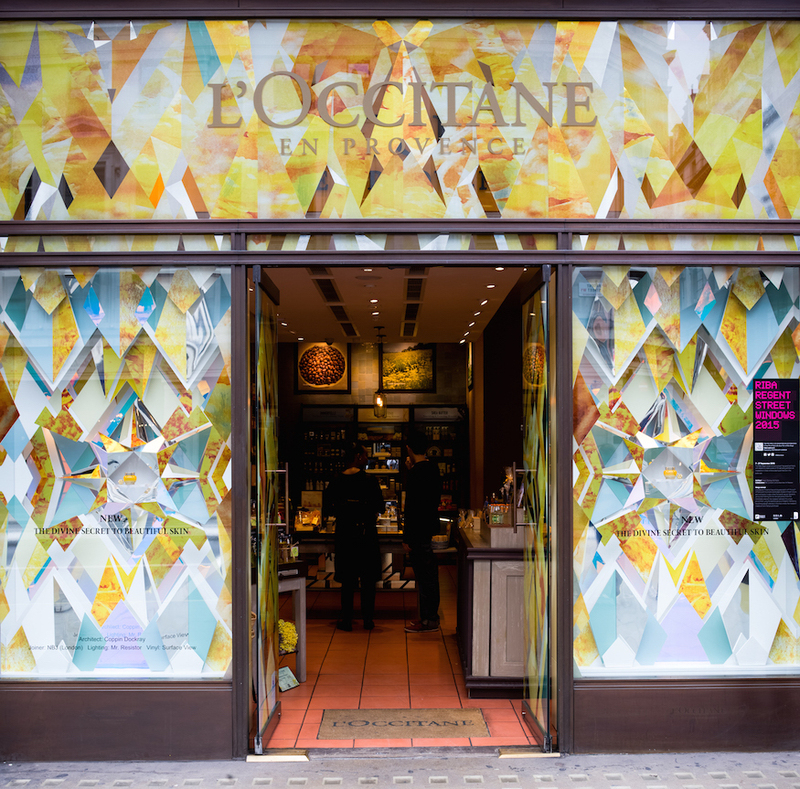 Penhaligons, a fragrance shop has gone back to nature with a mossy frontage created by Space Group Architects, while Coppin Dockray Architects have given L'Occitane Provence a multicoloured kaleidoscopic makeover. 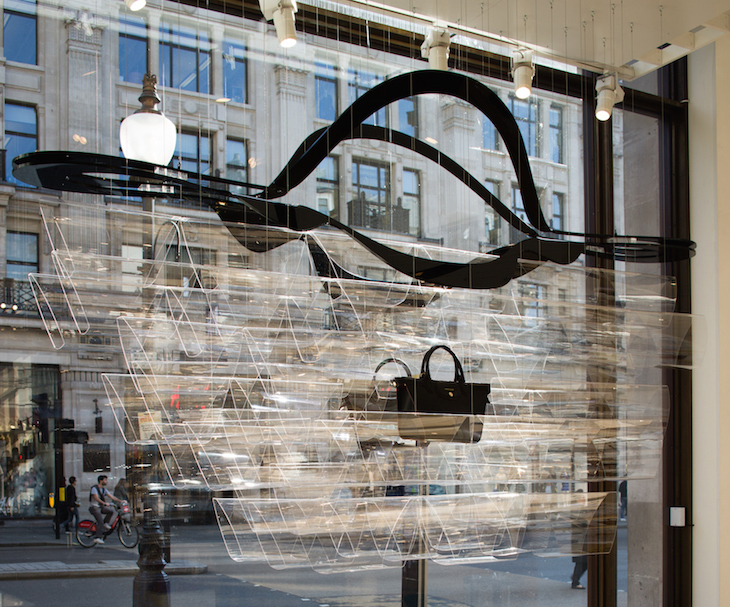 Other highlights include a floating mobile in the shape of a Longchamp bag created out of waves of transparent material. 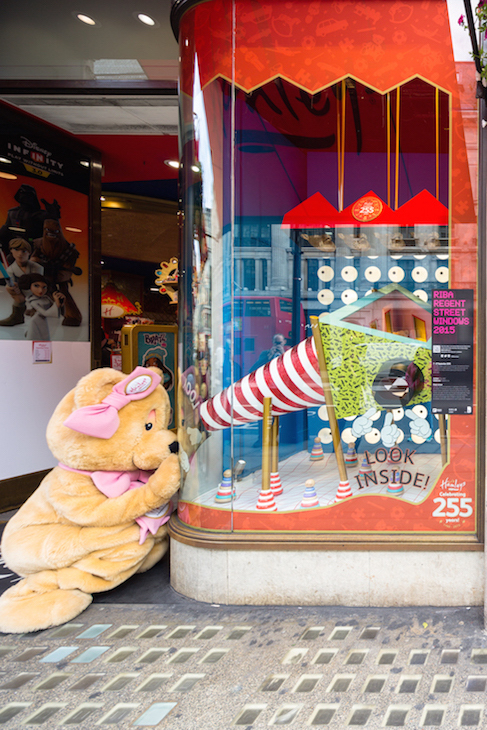 Even if the shops are out of your price range you can have a fun time trying to guess what they sell only going by the obscure window displays. 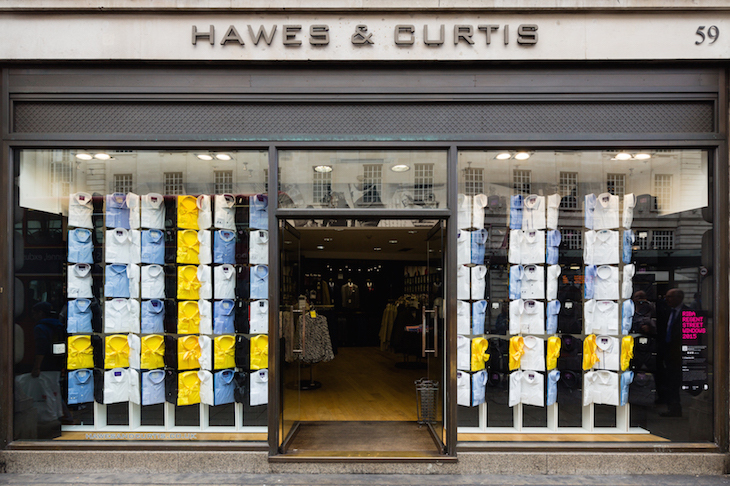 The RIBA Windows project is on display until 27 September on Regent Street.